Bio-Chek is a developmental stage electronic device company that owns patents on measuring pesticide residues on leaf surfaces. 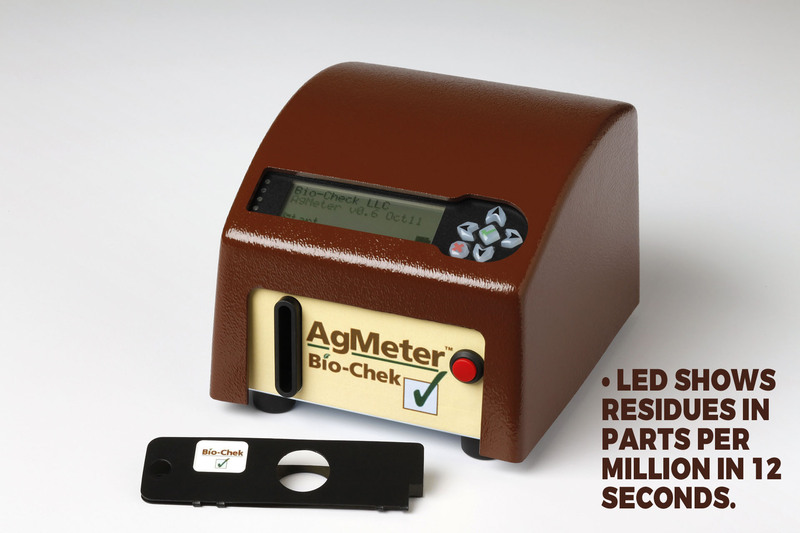 To calibrate our existing AgMeter technology to your desired specification. To license our technology to your manufacturing division. © 2017 Bio-Chek. All Rights Reserved.